There is unequal access to political power everywhere. One striking regularity is that in many areas women and poorer voters have fewer channels to access their political representatives. In a project with Guy Grossman, Gaby Sacramone Lutz, we have been working with NDI and the parliament of Uganda to see whether SMS technology can increase and flatten access to politicians and whether changing access has structural changes on the types of demands facing politicians. At the heart of our study is an examination of a pilot SMS communication platform set up in the Uganda parliament. 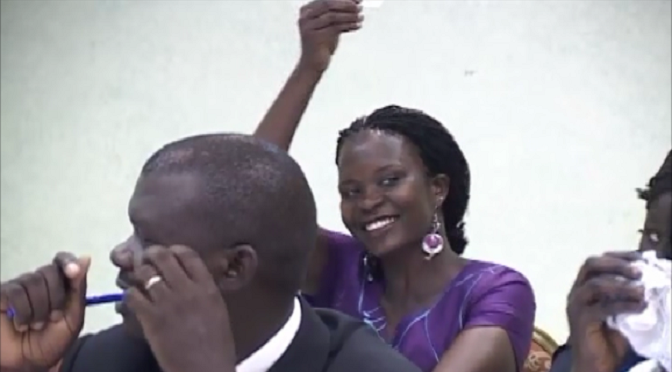 100 Ugandan MPs were selected in a public lottery for the pilot from a pool of 200 volunteers. Then over 6 months radio campaigns were launched throughout the country encouraging Ugandan voters to reach out o their MPS. These radio campaigns varied the prices for using the system and the feedback they receive on the ways that the system is being used by voters in their constituency. In our pilot work for this project we found good evidence that this kind of system can flatten access to politicians --- women and marginalized voters used the system at higher rates than more traditionally connected voters (at at significantly higher rates relative to traditional modes of communication). They were also less responsive to price. See this paper here (and Appendix). In our our current work (2018) we are examining the real scaled up system and we are finding that under field conditions things look very different: we find much lower take up and we do not find this flattening. Patterns of engagement revert to traditional patterns. We ran a follow up "mechanisms" experiment to try to figure out whether the key issue was the absence of a personal invitation to engage in politics from the mass campaign, but did not find support for that hypothesis. Survey evidence suggests that citizens did not engage in the scale up because they --- rightly--- expected that politicians would not listed to our respond to their communications. Our current understanding for the absence of a flattening effect points to persistent inequalities: women and marginalized groups are less likely to even hear the media campaigns in the first place. Overall this suggests systemic failures rather than failures of demand.